One important element that all prospective pet owners should consider is the typical life span of species under consideration. Guinea pigs don't live as long as traditional domesticated pets like cats and dogs; but they generally outlive other domesticated rodents, including mice and hamsters. However, the life span of an individual guinea pig relies on a lot of different things, including illness, lineage and diet. The typical guinea pig life span ranges from 5 to 7 years, according to the website for the School of Veterinary Medicine at the University of Pennsylvania. It is important to not place any strict expectations on those average figures, though, as some guinea pigs live for longer than that and others pass away a lot sooner than that as well. The average life span for breeding female guinea pigs is usually significantly shorter than the rest at about 3.5 years, the University of Michigan's Animal Diversity Web website says. Despite an average life expectancy of 5 to 7 years, some especially lucky guinea pigs have lived to 14 years old. The guinea pigs in question were captive cavies, however, not wild. Although it is ultimately impossible to control a pet guinea pig's lifespan, owners can do a lot to keep their cavies healthy and sturdy for as long as possible. Make sure to take your guinea pig in for a veterinary checkup at least once a year. If you notice absolutely any signs of illness or unusual behavior in your guinea pig, go to the vet immediately. Feed your cutie a balanced diet that consists of fresh timothy hay, commercial guinea pig pellets and regular supplementation of cavy-friendly fresh vegetables and fruits -- think grapes, strawberries, carrots, dandelion greens, pears, apples and cucumbers. Daily vitamin C is essential, as guinea pig bodies' do not make it. A small slice of a fresh orange can provide valuable vitamin C to guinea pigs. Liquid vitamin C supplementation may work, but talk to your veterinarian about it first. Keep your eyes open for indications of illness in your guinea pig. 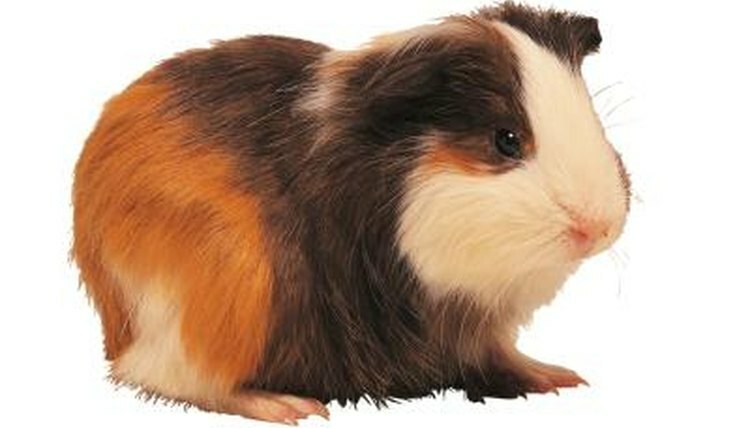 Some ailments that affect guinea pigs include scurvy, bronchitis, incisor overgrowth and bumblefoot. Look for symptoms such as unusual drooling, appetite loss, refusal to eat, problems with passing of stools, diarrhea, sneezing, temperament changes, blood in the urine and dirt in the ears. Do not hesitate for a second to get to the vet if you spot any of these things. Your guinea pig's life may depend on that assistance.